an architecture: The Parks of the World. The Parks of the World. 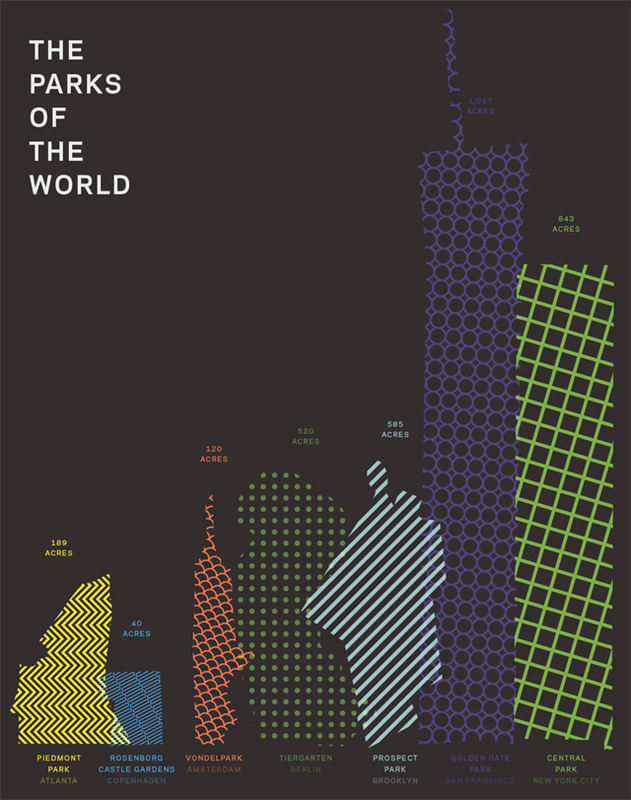 'The Parks of the World' is a visualization project by Mikell Fine Iles. The graphics were created to comparatively visualize the qualities between the large urban parks that Mikell visited in 2011.The diagrams feature pakrs like Piedmont Park (Atlanta), Rosenborg Castle Gardens (Copenhagen), Vondelpark (Amsterdam), Tiergarten (Berlin), Prospect Park (Brooklyn), Golden Gate Park (San Francisoco) and Central Park (New York). In the scale comparison, however, Europe gets short: there is too little land space to lead the charts.